If you just started to learn to play piano, it's very important to have fun and be motivated. Like this you stay tuned and want to learn more and more, and above all you want to continue playing. Choose songs that you like a lot for your practice time! Very nice and popular songs on the piano are: „Für Elise“, „River flows in you“ and the Soundtrack from „Amélie“. 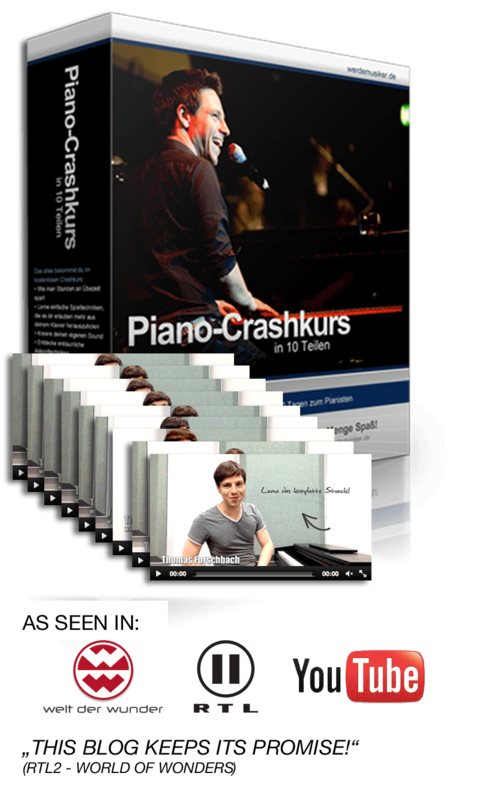 But if you first of all need some basic knowledge, then better start with my free piano crash course. Please write a comment below if you have any questions, remarks or suggestions. I saw your amazing arrangement of Can't Help Falling in Love With You on YouTube. I was wondering if the sheet music can be purchased or sent? Hey Carol, glad to hear that! Thank you so much!! Hi Thomas! Thank you for teaching me the first part of " The river flows in you " where do I go to learn the second part?